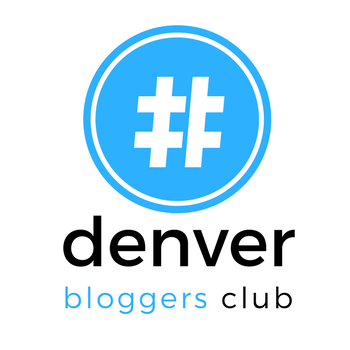 In several previous blog posts, I have referred to a group that I belong to here in Denver, called the Denver’s Bloggers Club. I joined this group to learn more about monetizing my blog/website and upping my social media game for my business. In the process of attending events put on by the group, I have met so many wonderful people and I have learned A TON of new things! At the January meeting, the topic was SEO and how to increase the SEO on our blogs/websites. One of the suggestions was to increase backlinks to our websites. So what is a backlink you ask? Backlinks are incoming links to a webpage. When a webpage links to any other page, it’s called a backlink. Backlinks are one of the major metrics for the ranking (SEO) of a webpage. A page with a lot of backlinks tends to rank higher on all major search engines, including Google. One of the things we started to do in the group is collaborate with other bloggers, so we could work together to help one another in a variety of ways. One of those ways is to increase backlinks on each other’s websites. I first met Heather Blake of Rocky Mountain Cooking at one of my food photography classes several years ago. Heather attended my hand-on class that discussed the basics of food photography. Our paths crossed again at a monthly meeting of the Denver Blogger’s Club. Heather’s Rocky Mountain Cooking recipe blog has become very popular and she wanted to step up her food photography, in an effort to make her recipes shine in the photographs on her blog. Many people only know the photography side of my creativity, but my creative side goes much deeper than just shooting photos for stock photography agencies. My background is actually marketing and graphic design for businesses of all sizes. I spent my “career” working in marketing for a Fortune 500 company and then started assisting individuals and small businesses on the side with my marketing and design skills. After being eliminated from the corporate world through a series of layoffs, I decided to use my skills to assist small businesses with their branding, marketing, graphic design, social media marketing and photography. I worked with Heather and Rocky Mountain Cooking to update the logo on her blog, to something simple, clean and eye-catching. Once that was complete, Heather wanted to learn more about food photography and the processing of her images. Heather and I have spent several sessions together, getting her introduced to the world of Adobe Lightroom and Photoshop, to come up with ways to organize and process the images she shoots for her blog and future projects. Heather has learned a lot in a short period of time, and the information she has absorbed is assisting her in transforming her images from good to fabulous! The next step was photographing together, taking one of her recipes and bringing it to life. We discussed what would be something good to make and photograph. Since we just started the season of Lent, we both agreed that fish tacos would be a great subject. Heather wanted to try something different, not your normal fried or grilled fish taco. She created Warm Salsa Fish Tacos with Avocado Cream Sauce. She started with a firm white fish and sautéed it with the salsa and ancho chili powder, so the fish takes on these smoky flavors and the avocado cream balances out the heat from the chili powder and jalapenos. The dish not only tasted great, but it was visually stunning as well! Turns out to be a pretty healthy one too! Bringing Fish Tacos to Life! One of the things I have a knack for is staging food and telling a story. When I arrived to photograph, Heather had been chopping and preparing the rainbow of colors we were going to include in the dish. I quickly noticed, that Heather’s kitchen has AMAZING filtered natural light, which is perfect for photographing food. She is so lucky, because this light is just steps away from her kitchen prep area. I brought along one of my rustic wooden boards to stage the food on, along with several colorful choices of plates and bowls to make the scene pop! We decided to add a margarita, a colorful plate of chips and salsa and a few fresh limes to bring the scene to life. The images you see in this post are the final results of our collaboration. In the end, I get to upload the images to my stock agencies for sale in my portfolio and she has images for her recipe posts, and continues to learn from a photographer about how to set up and stage her food to make her images more visually appealing. It’s a WIN-WIN for both sides INCLUDING the backlinks we are creating for both of our websites! Have we made you hungry for fish tacos? Here is a link to Heather’s blog and the recipe for her Warm Salsa Fish Tacos with Avocado Cream Sauce. Keep an eye out for more collaborations with Taking Stock Images and Rocky Mountain Cooking, not only was this a fun afternoon, but lots of creativity came from this session! Can’t wait to see what we come up with next!